Football season is here! What's your hometown team? I live in North Carolina but my first football love was and will always be the Philadelphia Eagles. Philly is the city of my birth and I'll always be an Eagle fan on the low. 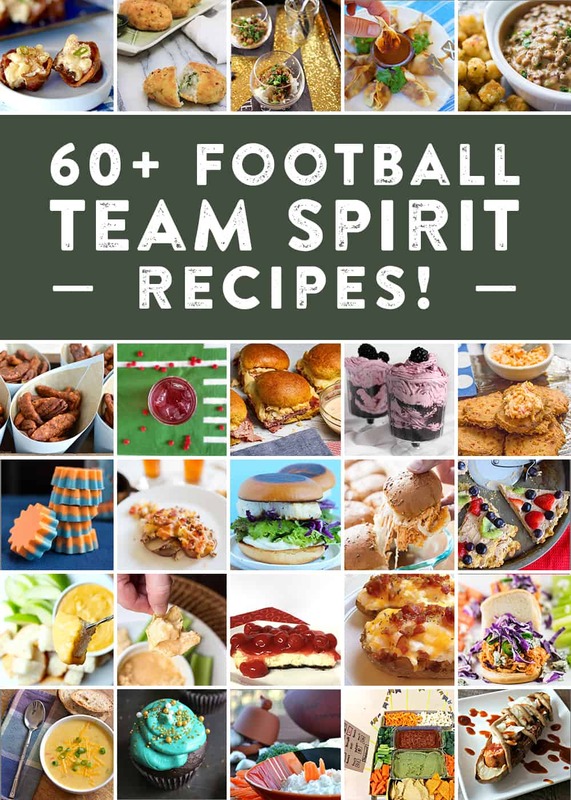 In celebration, I’ve joined a group of bloggers from all over the country to bring you football-inspired recipes this season. Last month we shared our favorite tailgating recipes, and now we are sharing more than 60 recipes ideas for celebrating on game day. Click on their links below to join in! 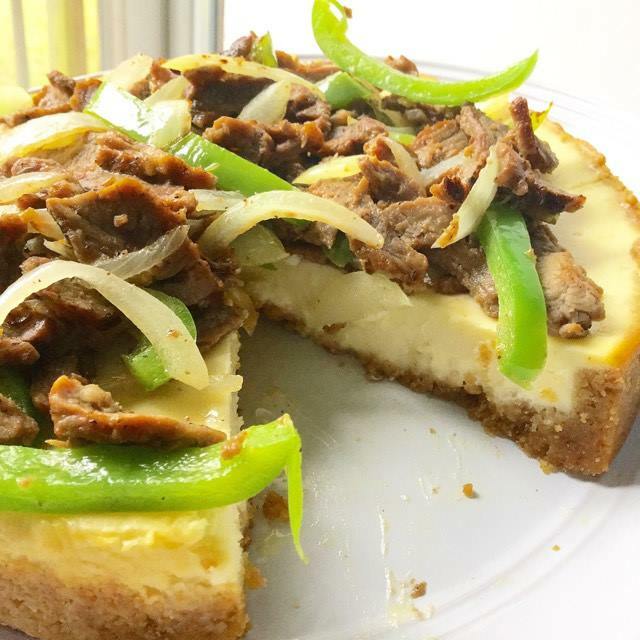 To ad to the celebration, I've made a SUPER FANTASTIC tailgate recipe to end ALL tailgate recipes: Philly Cheesesteak Cheesecake. It's a savory cheesecake with a wheat cracker crust filled with cream cheese and provolone cheese, topped with tender slices of top round steak, sautéed peppers and onions with the option of a layer of Cheez Whiz. It's pretty epic, y'all. Take a look. Check it out. It'll make all of your tailgate dreams come true. Serve it as is or with crudités. Your guests and friends will thank you. 1. Preheat oven to 375F. Place steak in freezer for 30 to 45 minutes; this will make it easier to slice. 2. In a medium bowl, mix together the wheat cracker crumbs, melted butter, salt and cayenne pepper in a small bowl. Press into the bottom and halfway up the sides of an 8-inch springform pan. Set aside. 3. In a large bowl, beat the cream cheese until smooth and fluffy. Beat in the Provolone cheese, flour, Worcestershire sauce until combined. Gradually beat in the cream then beat in the eggs, one at a time. Pour on top of the wheat cracker crust. Bake 40-45 minutes or it is almost set (it will feel firm when touched and still wiggle a little bit when moved). Let cool until room temperature. Remove the side of the pan before adding the steak topping. 4. Remove the steak from the freezer and slice very thinly. Heat the oil in medium saute pan over medium-high heat. Add the peppers and onions and cook until soft. Season with seasoned salt and add steak. Sauté for 2-4 minutes. 5. Spoon the steak mixture over the cheesecake. OPTIONAL: top the steak with a drizzle of Cheez Whiz.